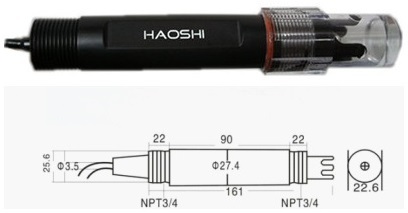 This pH combination electrode is made of sensitive glass membrane with low impedance.It can be used in a variety of PH measurements with fast response, good thermal stability.It has the good reproducibility, difficult to hydrolysis, and basically eliminate the alkali error .In 0 to 14pH range,the output voltage of the electrode is linear.The reference system which consist of the Ag/AgCl gel electrolyte salt bridge has a stable half-cell potential and excellent anti-pollution performance.The ring PTFE membrane is not easy to be clogged, so the electrode is suitable for long-term online detection. This product is only a part. Its usage is same with the pH meter (SKU:SEN0161), and the Industrial one is suitable for long-term monitoring. The electrode is suitable for all kinds of printing, circuit board factory, wastewater containing chromium and other industrial and domestic sewage pH monitoring. Electrode must be known before the measurement standard buffer solution PH value calibrated to improve the measurement accuracy , PH value of the buffer to be reliable, and the closer the measured value , the better , generally no more than three PH. Sensitive glass bubble ball electrode tip is not in contact with a hard object , any breakage and hair will rub the electrode failure. Electrode receptacle must be kept clean and dry height , if tarnished available medical cotton and ethanol to wipe and dry , definitely prevent the output ends of a short circuit , otherwise it will lead to inaccurate measurements or failure. Measurements should be taken before the bubble inside the glass bulb rejection to , otherwise it will cause measurement errors , measurement, should stir the electrode in the test solution still placed to accelerate response. Both before and after measurements and clean the electrode with deionized water to ensure measurement accuracy , the viscosity was measured in a sample , the electrodes need to use deionized water to remove the solvent. Passivated electrode will produce long-term use , the phenomenon is sensitive to low gradient , slow response , inaccurate readings , then you can lower end of the electrode bulb with 0.1M solution soak for 24 hours ( preparation 0.1M dilute hydrochloric acid : 9ml hydrochloride diluted with distilled water to 1000ml), then use 3Mkcl solution soak for several hours to restore performance. Glass bulb liquid surface contamination or blockage , but also make the electrode passivation , at this time , should be based on the nature of the pollutant , the appropriate cleaning solution. Electrode cycle is about a year, after aging should be promptly replaced with new electrodes. 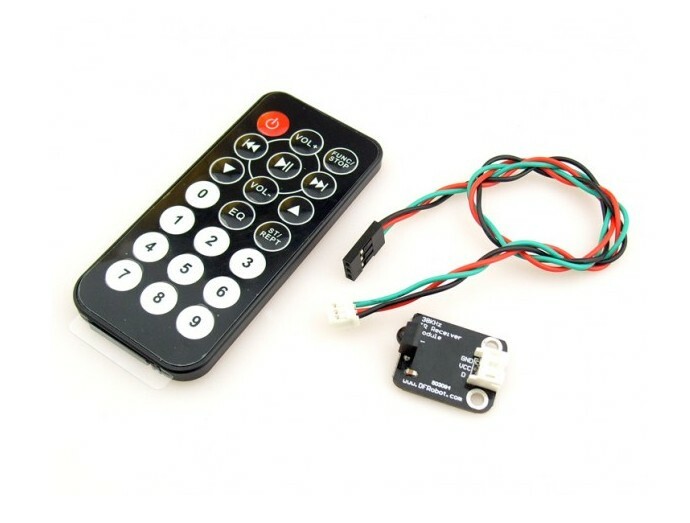 Get Gravity: Analog pH Sensor / Meter Pro Kit For Arduino from DFRobot Store or DFRobot Distributor.